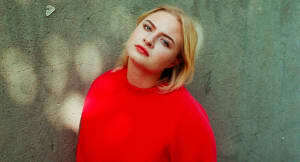 Låpsley's Long Way Home arrives March 4 via XL. In a statement, the singer/songwriter describes the record as "an autobiography of my emotions and events over the past year." "Everything that's happened, I've channeled in some way into a song," she writes, "whether that's the theme of a long distance relationship, or something that he's said, or the way that I've felt, or an argument. I only revisit the memories of that relationship when I go into the studio. I think it's helped me, to be able to collect everything for those moments when I'm writing. I think that's what's driven this album."